Chilli Mama – Roti Bar | ohdenny. 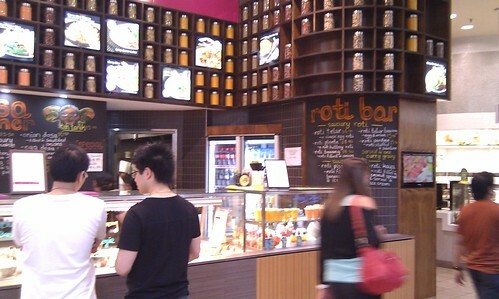 We came across this Indian/Malaysian store whilst trying to find something decent to eat in Chadstone Shopping Centre. I believe it has recently opened, and when I mean recently I mean the last time I shopped at Chadstone which was a couple months back (We went there in November I think) So anything Malaysian, I just have to try it out. It looked pretty good for a food court eatery, having a wide selection of savoury and sweet Roti dishes but also various noodle dishes like Mee Goreng and Fish Head Curry. 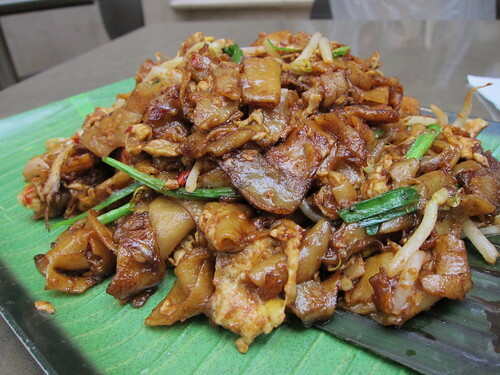 Plus the commonly served, Char Keow Teow. First time around we had the Curry + Rice dish, with those curries served at front and not cooked to order. It was pretty good for a food court meal and not very expensive either, surprisingly. 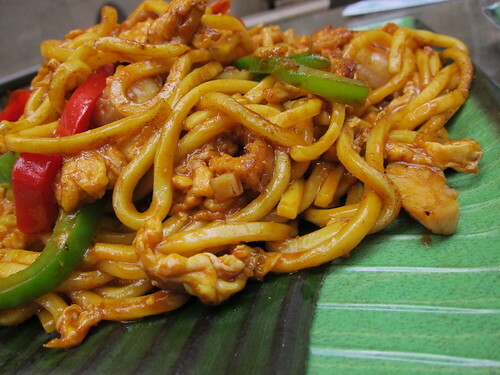 This time around we ordered the Mee Goreng and Char Keow Teow. Both were on the slightly small side for their price, well compared to what I’m used to but it was by no means over priced. Served on a nice banana leaf, the Mee Goreng was tasty and didn’t have a strong sweet and tomato taste like some other’s I’ve eaten but my mother’s home cooked Mee Goreng with added chilli probably tops it, just because it’s spicy. The Char Keow Teow was decent too, not too oily but might just be a tad over oiled and had all the ingredients to make it tasty. Just that I like it spicy, and we ordered it spicy, but it wasn’t at all. Probably they forgot, as a couple of their curries were slightly spicy. Anyway as mentioned multiple times, it’s very surprising to come across a really decent food court meal for a reasonable price, and a Malaysian/Indian one at that. So we probably would eat there every time we go to Chaddy but probably won’t go out of our way to get there.